The Fat Lady is singing. Liberals’ attempt to cripple Trump’s presidential legitimacy via a targeted recount of votes in selected states is finished. 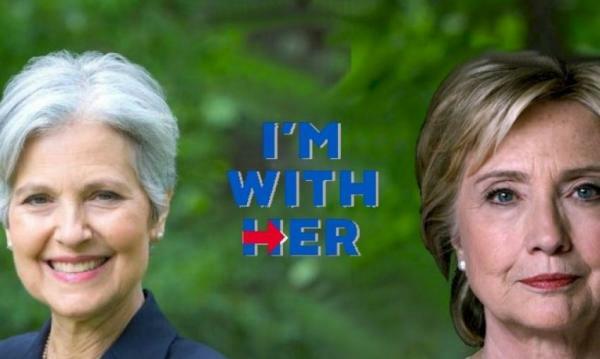 The Washington Examiner reports that Green Party Candidate Jill Stein has blown the filing deadline to force a voter-initiated recount in Pennsylvania which controls 20 electoral college votes. This means that even if Stein can successfully challenge both Wisconsin’s and Michigan’s vote tallies, Trump will nevertheless retain the 270 electoral votes necessary to avoid invocation of House rules to decide the 2016 presidential election. On November 8th Trump informally won the presidential election with 306 electoral votes. States have specified deadlines to formally confirm their results. On December 19, electors will formally file votes to confirm these results. To successfully throw the 2016 presidential election to the House, Stein would have had to formally challenge Wisconsin’s 10, Michigan’s 16 and Pennsylvania’s 20 electoral college votes. Even if Stein’s efforts to deny Trump the electoral votes in Wisconsin and Michigan succeed, Pennsylvania will carry the day for Trump. #Trump306 #MAGA #Recount2016 It's over. Trump 306 electoral votes. Michigan certified the results today. Stein missed deadline in PA. Unless Stein (and Hillary’s helpful campaign) has selected a very liberal judge who will allow an end run around the state’s filing deadline, it’s all over but the liberal caterwauling over the unfairness of the Founders’ electoral college.